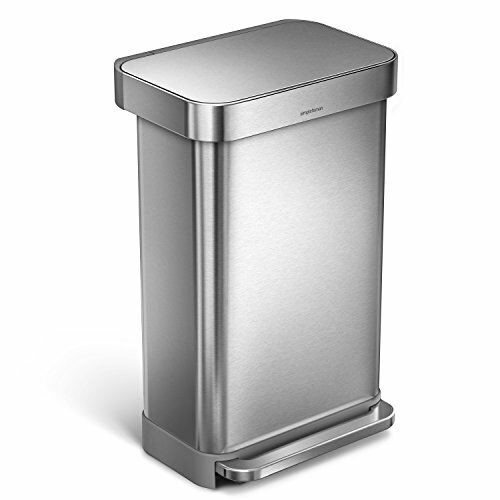 Semi-Round Stainless Steel Trash Can The simplehuman 45 liter/ 12 gallon semi-round step on garbage can has a semi-round shape designed for easy placement against the wall and out of the way and is perfect for an office, your kitchen or anywhere you need to throw away rubbish in your home. It also has a liner rim that flips down to hide the trash bag and keep it secure – and harder for dogs to get into. 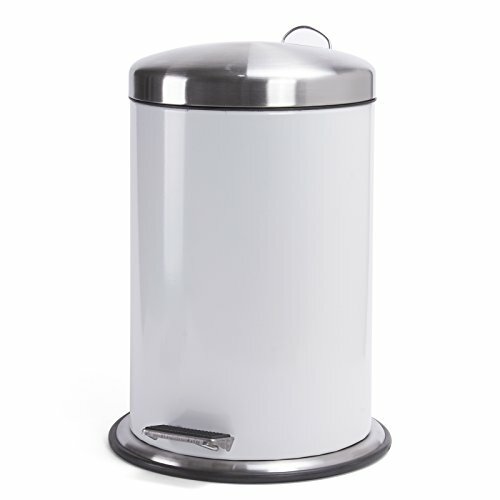 It has a brushed stainless steel finish to match your home decor that is fingerprint-resistant and easy to clean, and no inner bucket which means more capacity for more trash. I'm the Strong and Silent Type The strong wide steel pedal means the can is hands-free and is designed to last 150,000 steps — that's more than 20 steps a day for 20 years, and simplehuman's patented lid shox technology ensures that the lid closes softly in a smooth, quiet manner. Custom Fit Trash Can Liners simplehuman Code J trash can liners are a perfect fit for this trash can. They are made from extra-durable plastic with thick double seams to prevent rips and tears and have been rated among the top in strength comparable to other major brands. Extra strong to keep garbage in the bag — not on the floor or the bottom of your trash can. A waste bin and a toilet brush are two essentials you need to have beside your toilet, but that doesn't mean that they can't also be part of the modern decor in your space. The Harbour Housewares Bathroom Pedal Bin and Toilet Brush Set gives you a pair of contemporary bathroom accessories that are both fashionable and functional! These high quality accessories match one another perfectly and are sure to add flair to your interior. 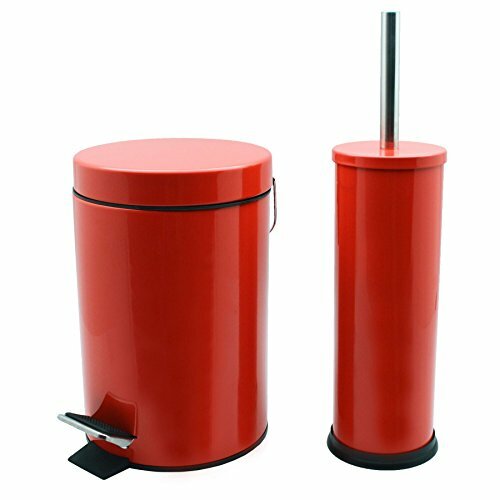 - Stainless steel construction for a rust-proof, sleek look - Convenient non-slip pedal opens the lid on the can - Bin features a plastic liner that lifts out with a handle for easy emptying - Waste bin is 26cm tall by 16.5cm in diameter - Bin holds 3 Liters - Toilet brush is 38cm high by 9cm in diameter Finish your bathroom decor with a pair of pretty, practical accessories! 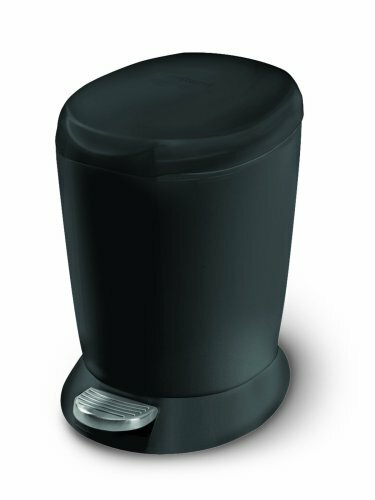 Order the Harbour Housewares Bathroom Pedal Bin and Toilet Brush Set now. The MSV company stands for the French company "Menage Selection Valnet", active since 1981. The head office of the company is located in the south of France, near Perpignan, and with the offices of the sales and the warehouse area covers 12,000 sq km. MSV specializes in the production, import and distribution of household goods. 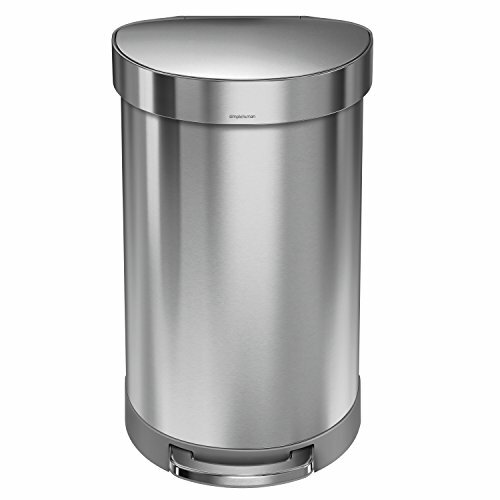 Perfect Small Round Plastic Step Can The simplehuman 6 Liter / 1.6 Gallon compact plastic round step trash can is the ideal choice for any home's bathroom or office with its iconic round shape that fits in corners, against the wall – just about anywhere. Strong Pedal The strong pedal means the can is hands-free and is engineered for a smooth and easy step. It also gives this waste bin stable operation for a "big can feel." 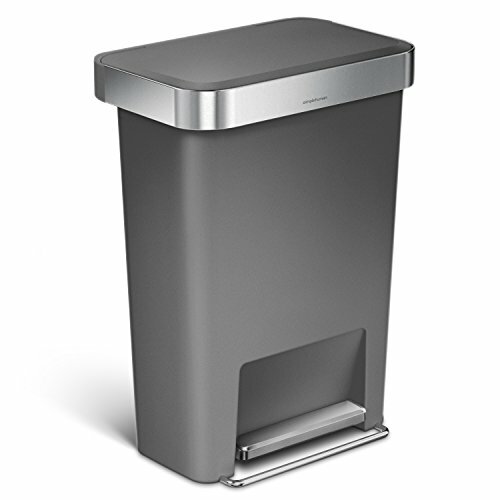 Custom Fit Trash Can Liners simplehuman Code B trash can liners are a perfect fit for this wastebasket. They are made from extra-durable plastic with thick double seams to prevent rips and tears and have been rated among the top in strength comparable to other major brands. Extra strong to keep garbage in the bag — not on the floor or the bottom of your trash can. 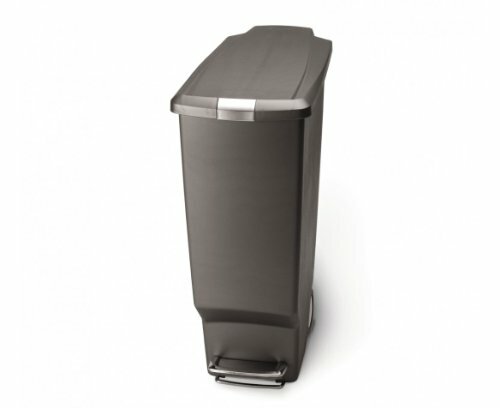 Fits in Tight Spaces With a skinny space-efficient shape, the simplehuman 40 liter/ 10.6 gallon grey plastic slim step on garbage can is designed to fit in tight spaces like between cabinets and is perfect for an office, your kitchen or anywhere you need to throw away rubbish in your home. The durable plastic is fingerprint-proof and easy to clean. Lock the Lid Shut This waste bin also has a slide lock that locks the lid shut to keep it secure – and harder for dogs, cats, other pets and curious children to get into. I'm the Strong and Silent Type The strong steel pedal means the can is hands-free and is designed to last 150,000 steps — that's more than 20 steps a day for 20 years, and simplehuman's patented lid shox technology ensures that the lid closes softly in a smooth, quiet manner. Custom Fit Trash Can Liners simplehuman Code K trash can liners are a perfect fit for this trash can. They are made from extra-durable plastic with thick double seams to prevent rips and tears and have been rated among the top in strength comparable to other major brands. Extra strong to keep garbage in the bag — not on the floor or the bottom of your trash can. 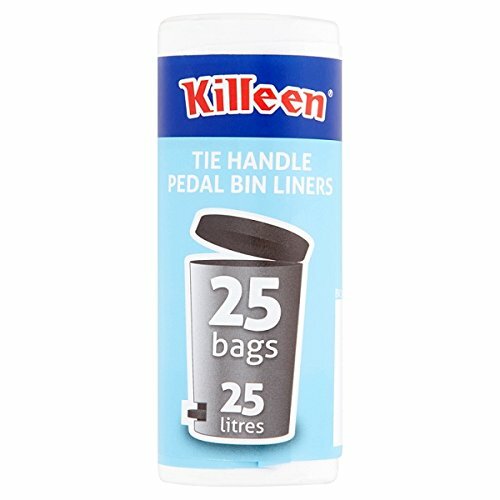 Looking for more Pedal Bin Liners similar ideas? Try to explore these searches: Lodge Toilet Brush, Tommee Tippee Teether, and Lansky Fish Hook Sharpener. 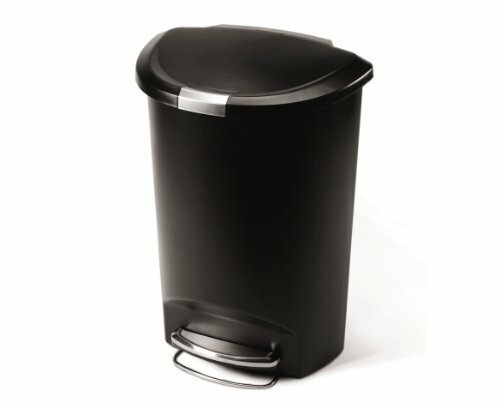 Shopwion.com is the smartest way for comparison shopping: compare prices from most trusted leading online stores for best Pedal Bin Liners, Safety Strips, 2530 Printers, Liners Pedal Bin . Don't miss this Pedal Bin Liners today, April 20, 2019 deals, updated daily.